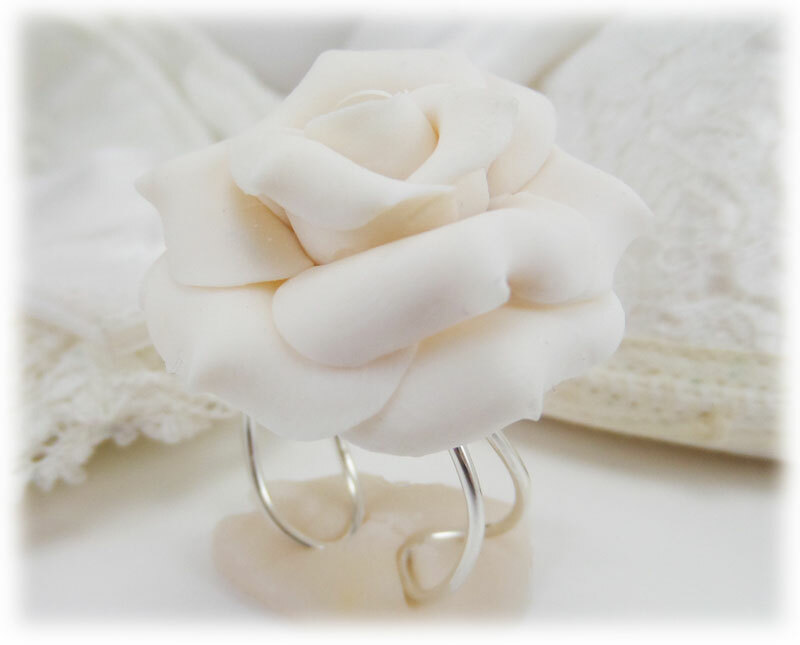 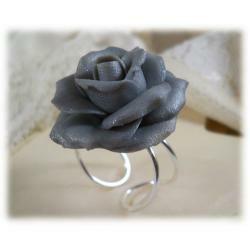 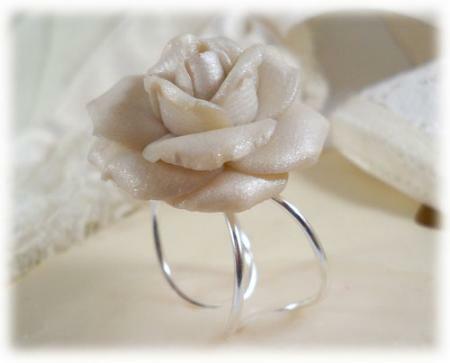 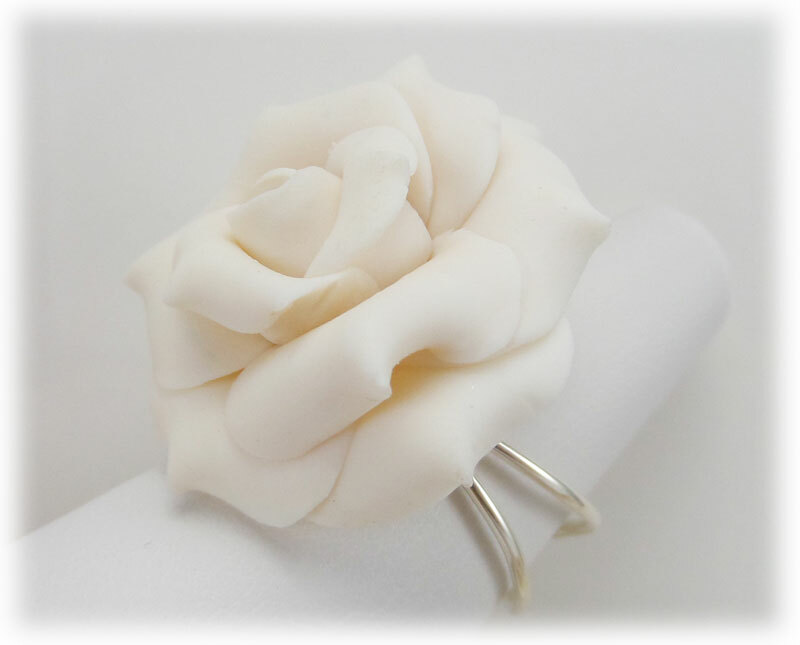 Handcrafted white rose ring with an adjustable base. 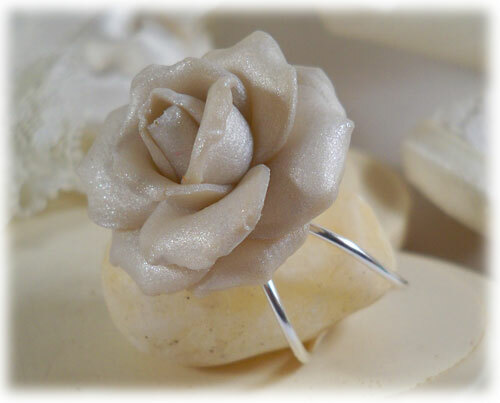 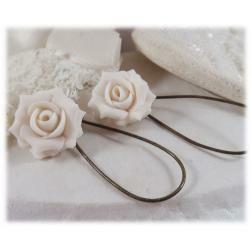 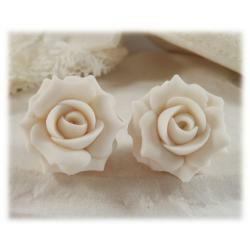 Flower measures 1 inch and is available on 925 sterling silver or 14k gold filled. 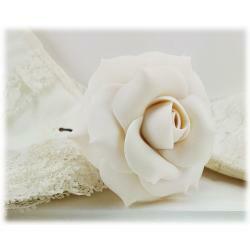 The flower base petals are securely bonded together for additional strength and solidity. 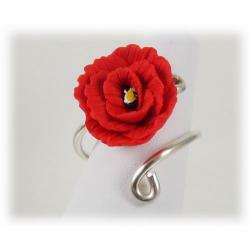 The ring base is secured up through the center of the flower. 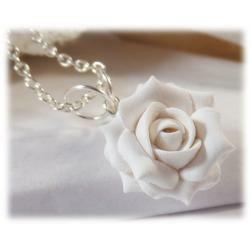 Delicate appearance yet sturdy.